To emerge as a World class Digital Library, Elucidating the Engineering/Technologies subject for students at global level in its Immensity, Novelty and Depth, perceiving the responsibility to transform the learning process towards an Eco-friendly modus. To provide Free online access to an e-treasure of quality educational materials as collected from various eminent sources to support the learning requisites of Engineering students throughout the world, promoting the concept of green-learning and the value of sharing knowledge. And to offer a virtual platform to exchange, discuss and connect the knowledge contents of the latest kind for the Engineers beyond any barriers. Appriciate your mission, we hope that L&T will be success day by day. Engr Atear Rahman from Bangladesh. We are learning alot from you sir,Never stop spreading ur knowledge,keep going #U_r_making_us_proud_to_be_an_Civil_Engg. my self Devnath Gupta (Diploma -Civil) from gorakhpur. Your video are very nice and impressive. I always learn from your video. Your teaching method is appreciable. Thank you sir for your initiate.keep it up. 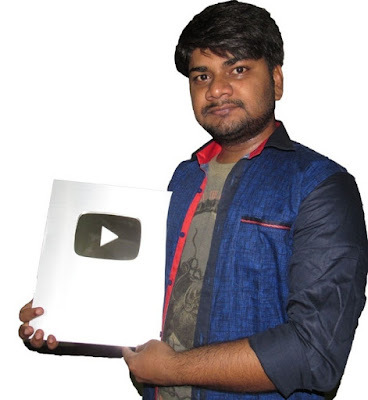 thanks for your videos sir.pls. lect. on testing of steeel. Please make a tutorial about BBS of Slab with Curtailment method and I like to appreciate your way of explaining. Really great work ...specially on estimation please upload stairs category and BBS. Thanks for your effort. I AM LAVISH MADIYA FROM SILIGURI WB , I HAVE A PRECAST CONCRETE FACTORY HERE , I HAVE LEARNED A LOT FROM YOUR VIDEOS AND THEY HAVE HELPED ME IN ESTIMATING MY PRODUCTS. I WANT TO KNOW HOW TO CALCULATE AMOUNT OF STEEL USED IN TRADITIONAL BOUNDARY WALL PILLAT AND LINTER. AS YOU KNOW GENERALLY WE DONT HAVE AMY DRAWING FOR BOUNDARY WALL DONE FOR HOMES . WE ALL DEPEND ON MISTRY ( HOW THEY TIE REBARS ) . IS THEIR ANY WAY TO CALCULATE . Your explaining power is nice sir... Very useful information to all.. Thanks a lot.. While calculating the qty. of sand and cement in internal plastering why we have not multiplied by density of sand which we did in while calculating cement. this very Nice to learn something great from u. can u please teach me about quantity survey. thanks. Thank u so much sir, its very useful to develop my carrier,i am finishing my B.E in 2017. its very useful and must its share to my friends,if u have any vacancies plz contact me sir. hello sir, I am Dev . I am having problem to understand the drawing of a foundation plan.. Sir please can you just a video regarding to that.. I will be great thankfull to you.. I am Haroon Baig (associate engineer) Pakistan. Here is Shyam Sunder . I saw your videos at you tube and it is very helpful for me . I suggest my all staff at office to see . Thanks Sir for it . Most helpful .Mode of learning very easy .Sir ,jb aap video dalte ho to civil engineering bhut asan lagne lagti h."salute sir" .I am tushar sharma diploma holder .I have 3 year experience . Please prepare a BBS,shuttering calculation for Box culvert/Pedestrian Underpass (PUP)/VUP. Dear Sir, Please prepare the BBS of Box culvert/VUP/PUP. Sir, I am Somnath Chakraborty from Arunachal. You are perfect teacher for our future, I am already successful to calculate our Major Bridge (600 mtr) all BBS. Thanks a lot GURU-JI. Sir please tell us about PEB structure and PUF roofing analysis in detailed. Sir request for slab steel bar spacing calculate details slab short length 12'& long length 16'-3"
keep going on sir , sir can u please arrange your you tube videos by lecture 1,lecture 2, lecture 3.....and so on, if u can then i will very thankful to you..
thank you very much for your humble support. as a quantity estimator what item's quantity measurement should i know? Ur all videos and explanations are excellent and awesome sir.Thank u so much for being with us in this way.Can u show us all details and functions about Total station surveying?? ?It'll help us a lot sir.And I personally want to learn it from u because that'll be more understandable for me rather than from others.Its very urgent to me also sir.Thank u.